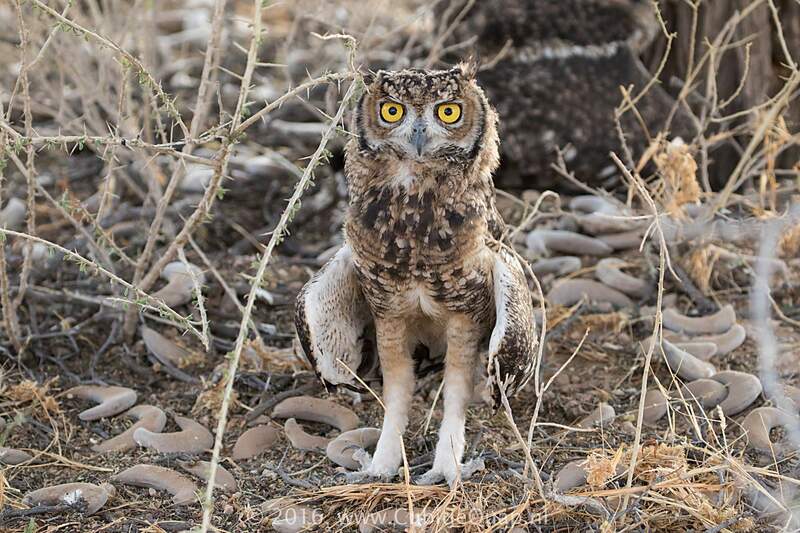 Grey and rufous colour forms occur. 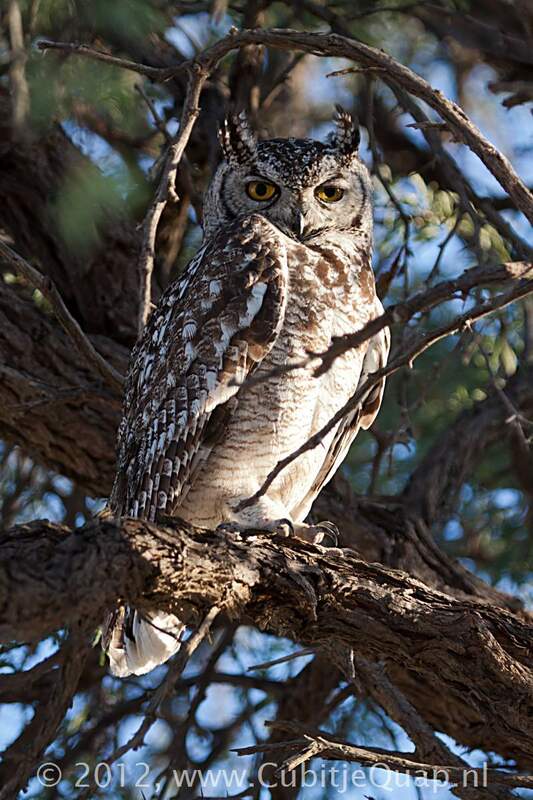 The grey form is the most common and is distinguished from the Cape Eagle-Owl by its smaller size (average length 45 cm), the lack of dark breast blotches, the finely barred belly and flanks, the yellow (not orange) eyes, and the smaller feet. 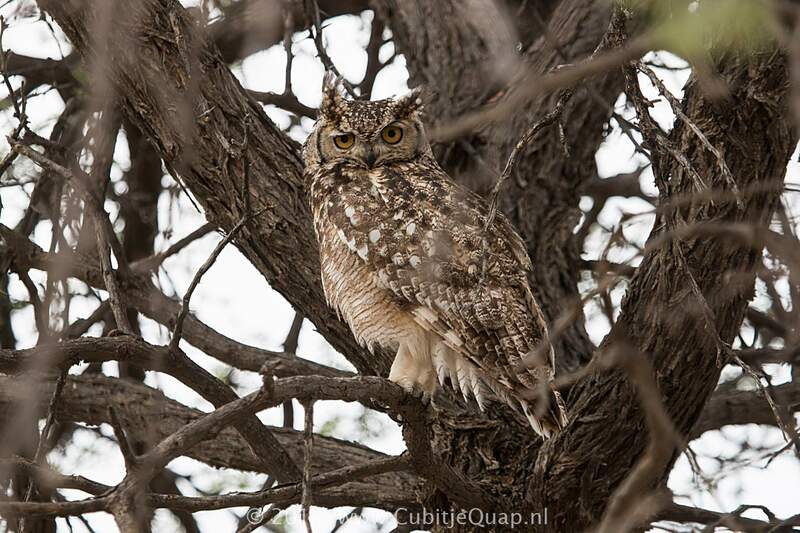 The rare rufous form is more heavily blotched and has orange eyes; it is best distinguished from Cape Eagle-Owl by its call, its smaller size and its smaller feet. 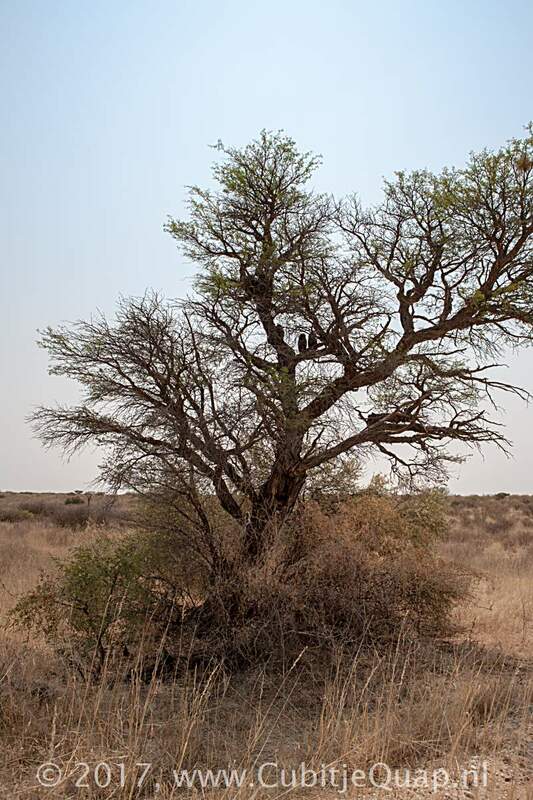 Diverse, from desert to mature woodland, savanna and wooded suburbia. 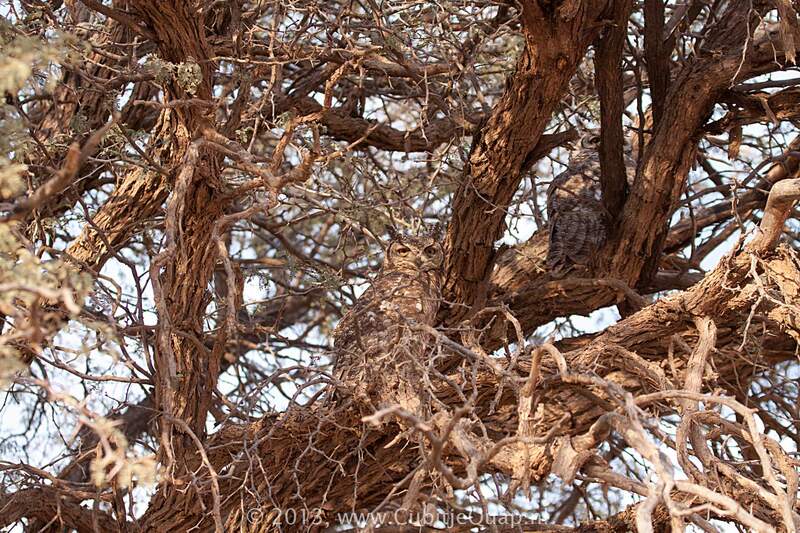 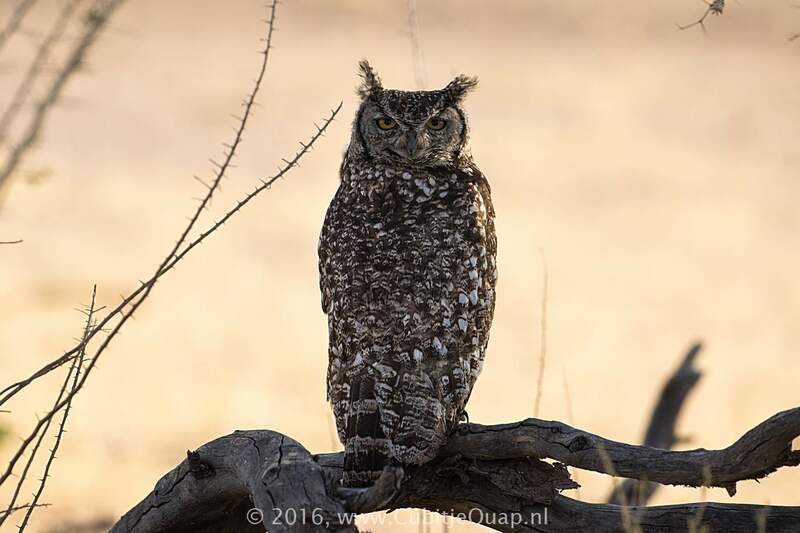 The spotted eagle-owl is a versatile hunter, being able to consume a wide range of prey. 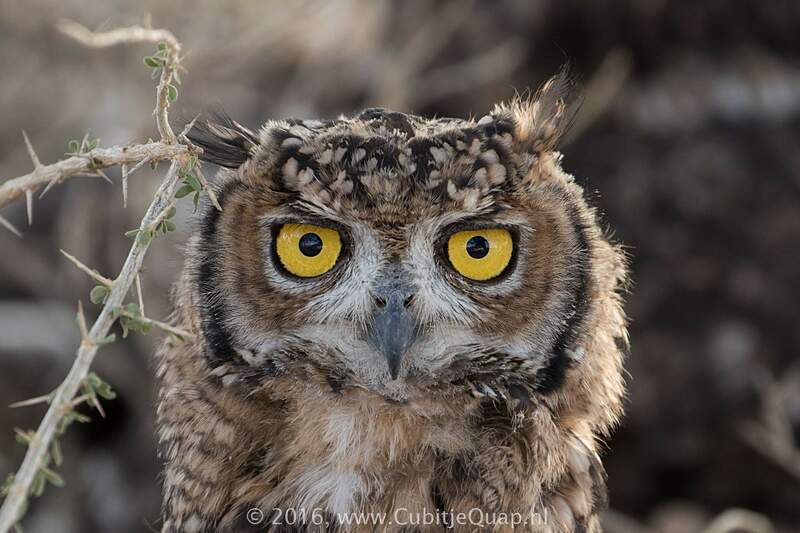 Approximately two thirds of its diet consists of small invertebrates. 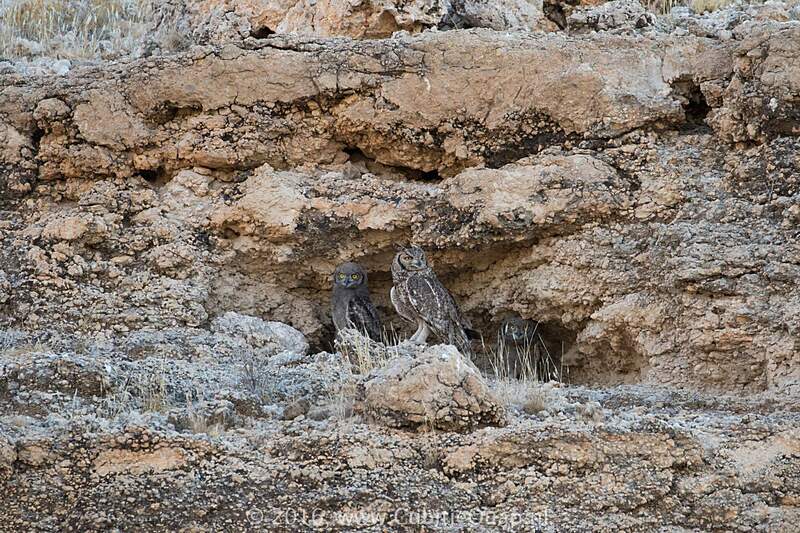 The remaining portion consists of small mammals, birds and a few reptiles. 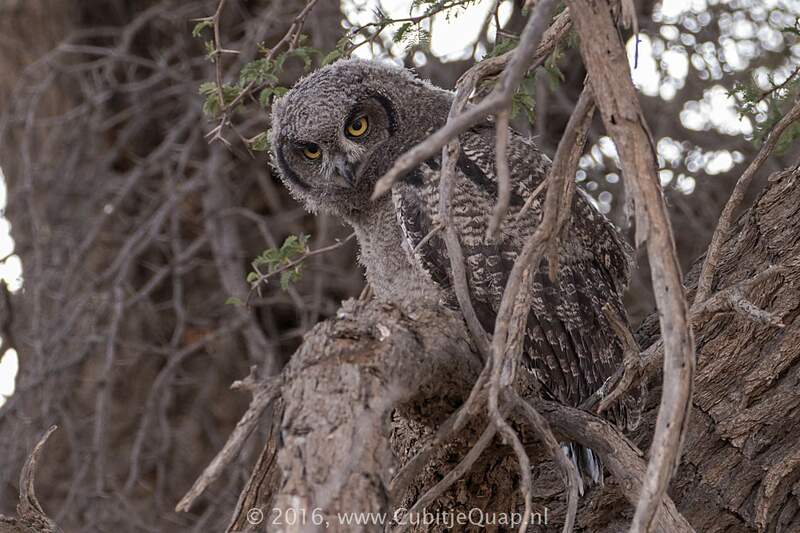 Most prey is caught after a short glide from a prominent lookout post. 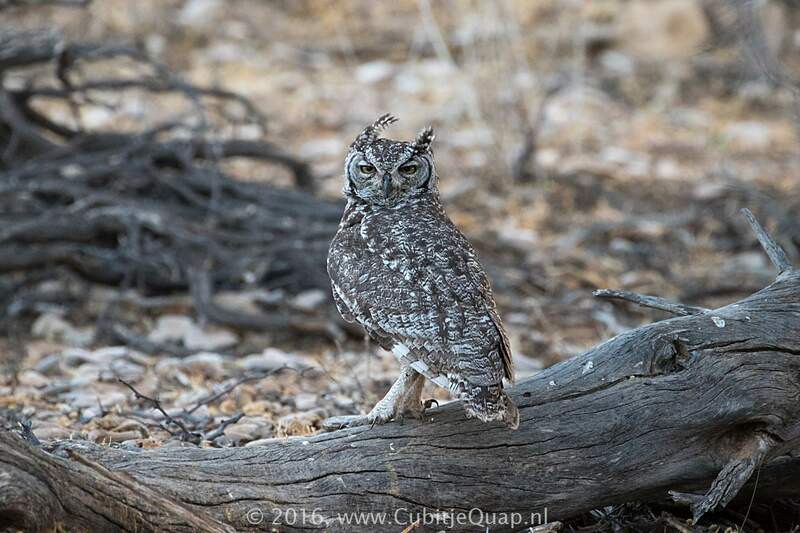 In the Kalahari individuals of this species has been recorded to show more diurnal behaviour than usual. 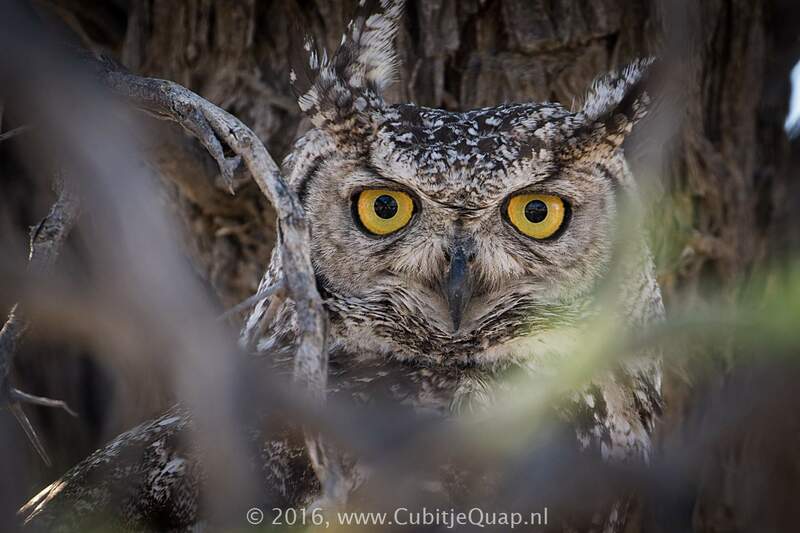 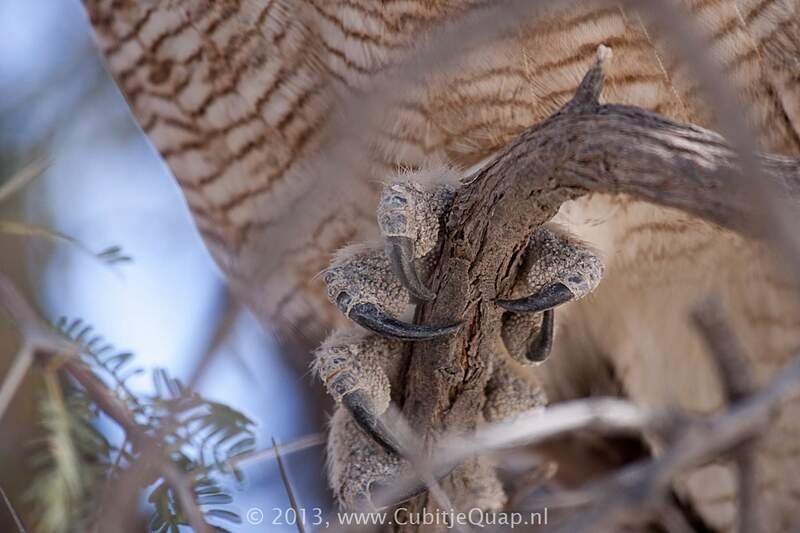 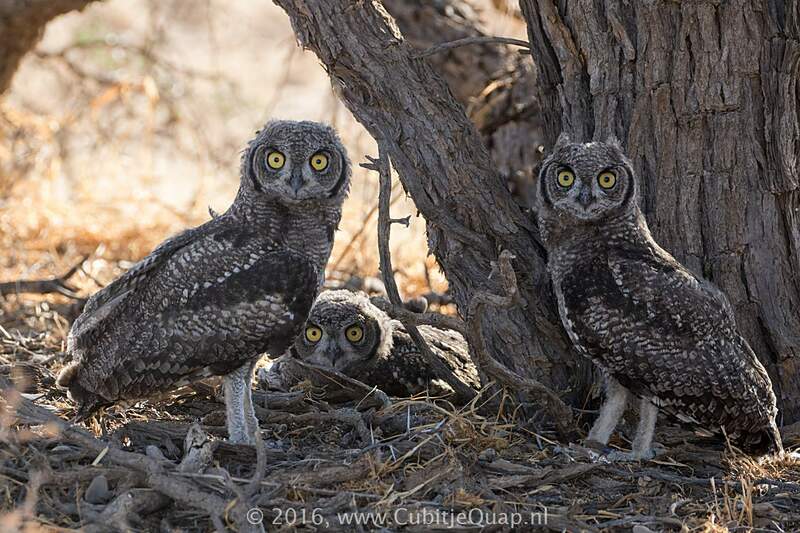 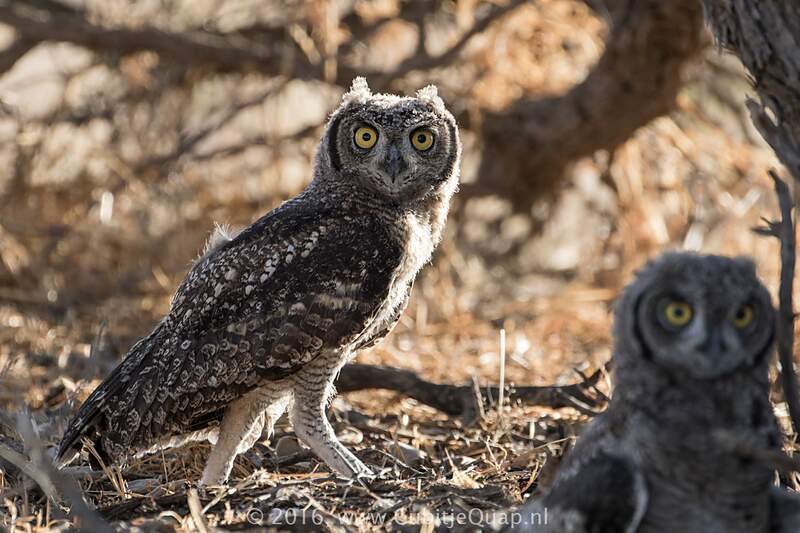 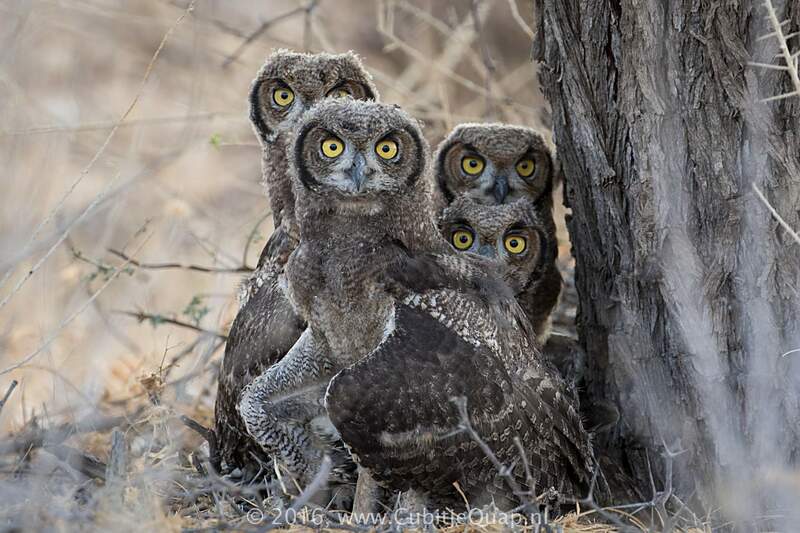 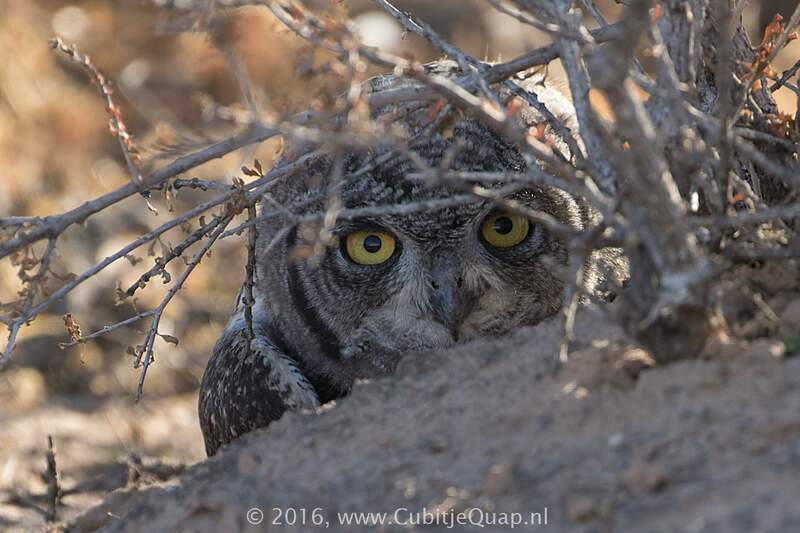 Spotted eagle-owls in the Kalahari were noted to be active during the day and joined southern pale chanting goshawks in following honey badgers for any prey that the badger disturbs. 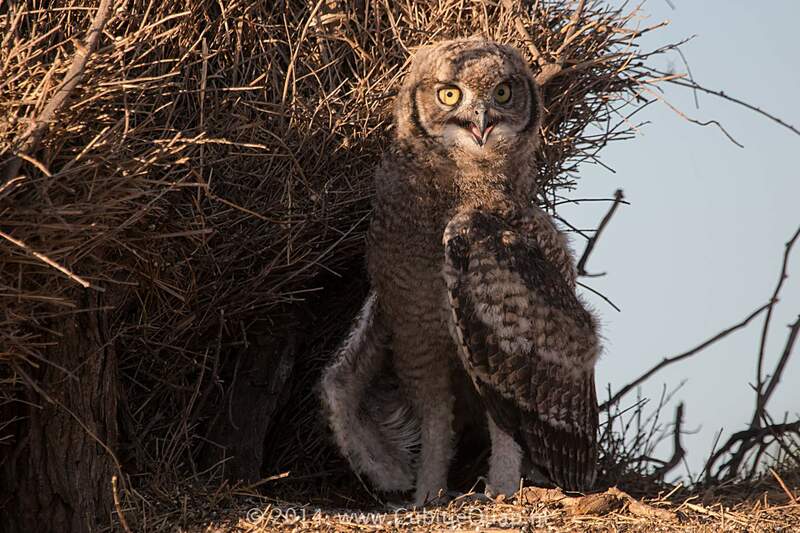 Breeding is said to occur during the months July to February, with a peak period occuring in August and September. 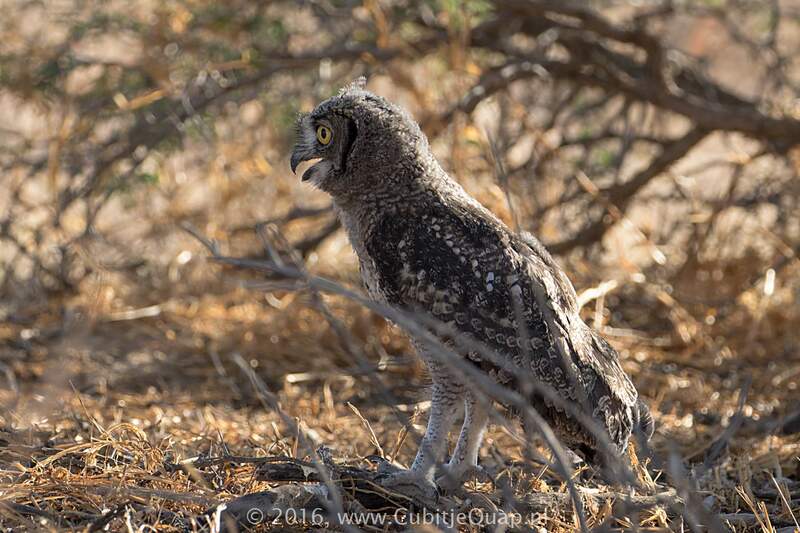 The incubation period lasts 30 - 32 days. 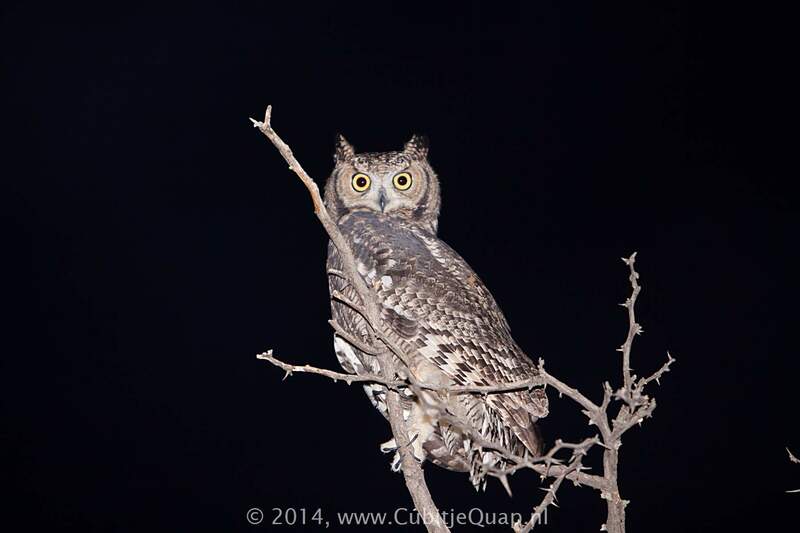 A hooting 'hu-hoo', similar to that of Cape Eagle-Owl but softer and less penetrating.